The Luxe Hammered Gold & Silver Toasting Set offers a special touch to your special day! These glasses allow you to indulge a little and create beautiful photos to remember without going over budget. The gold and silver design is brilliant because it literally goes with everything. These two metals remind us of two people joined together to complement one other. 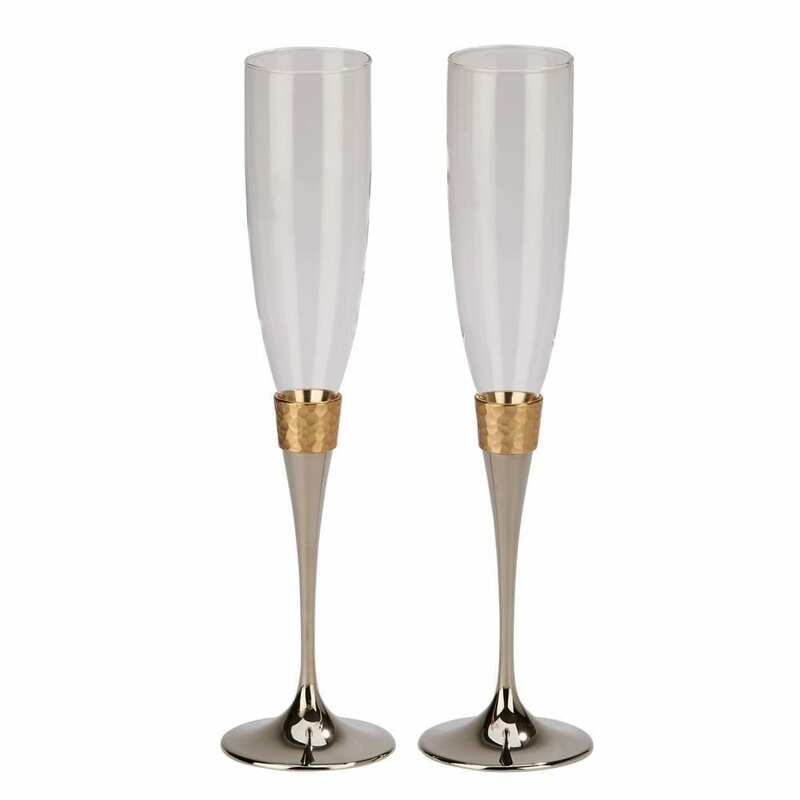 Perfect for weddings and anniversaries, these champagne flutes are timeless yet modern. The set comes with 2 glasses and each glass holds 6 oz. of liquid. 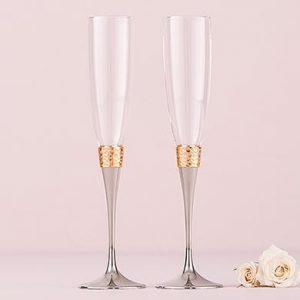 If you love this toasting set as much as we do and rather purchase a new set than rent, please ask for purchase pricing when booking your wedding. Pairs perfectly with our Luxe Hammered Gold Cake Knife & Server. Available for rental or purchase. 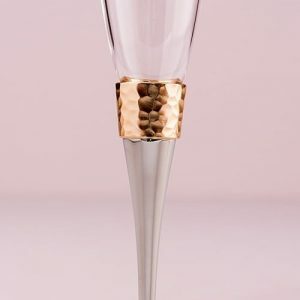 Need champagne flutes for your guests? We have you covered, check out our 6 oz. Champagne Flute Glasses.